Travel Europe on the cheap with this updated guide, the ideal companion whether you're on a city break, beach vacation, or road trip. The locally based Rough Guides author team introduces the best places to stop and explore, and provides reliable insider tips on topics such as driving on European roads, how to find the best local shops, or where to find safe hostels. You'll find special coverage of European history, art, architecture, and literature, and detailed information on the best markets and shopping for each area. 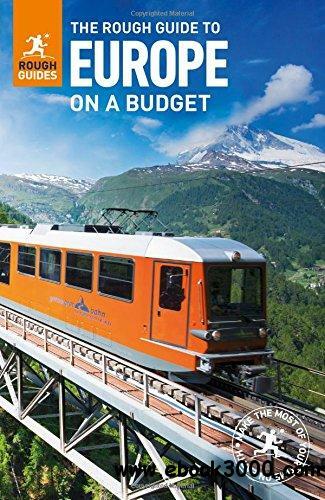 The Rough Guide to Europe on a Budget also unearths the best restaurants, nightlife, and places to stay, from backpacker hostels to beachfront villas and boutique hotels, and color-coded maps feature every sight and listing. Make the most of your time with The Rough Guide to Europe on a Budget. Series Overview: For more than thirty years, adventurous travelers have turned to Rough Guides for up-to-date and intuitive information from expert authors. With opinionated and lively writing, honest reviews, and a strong cultural background, Rough Guides travel books bring more than 200 destinations to life. Visit RoughGuides.com to learn more.